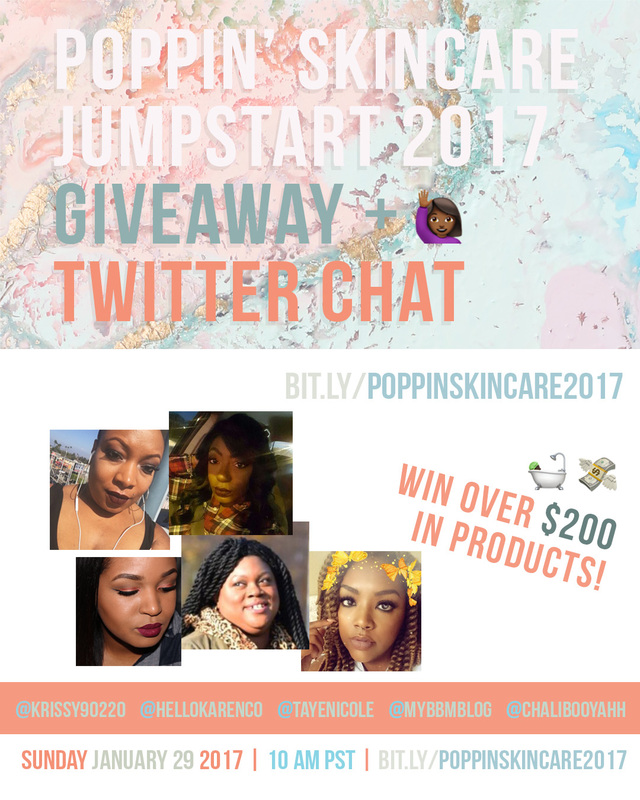 #POPPINSKINCARE2017 Giveaway +Twitter Chat | Win over $200 in products! I teamed up with some of my favorite bloggers to help you reach your 2017 skincare goals. We know better than anyone else that such a task will take some serious coin so we’re here to get you started with everything you need. You can win over $200 in skincare products by completing the tasks below. You’ll want to bookmark this page in your web browser bar because I’ll be updating it with skincare blog posts from the girls and we’re hosting a Twitter chat Sunday, January 29, 2017 bright & early at 10:00 AM PST. Good luck and may the odds be in your favor. Previous post Is Blac Chyna MAC Cosmetics latest ambassador?